This example shows how to create a deployable archive with Excel® integration from a MATLAB® function. 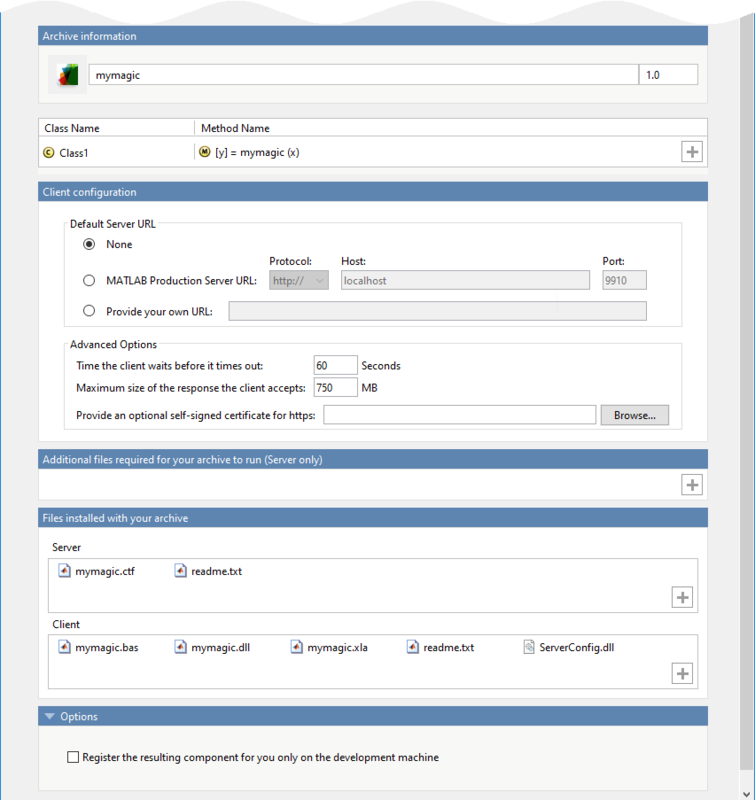 You can then give the generated archive to a system administrator to deploy on MATLAB Production Server™. In MATLAB, examine the MATLAB program that you want to package. For this example, write a function mymagic.m as follows. At the MATLAB command prompt, enter mymagic(3). On the MATLAB Apps tab, on the far right of the Apps section, click the arrow. In Application Deployment, click Production Server Compiler. In the MATLAB Compiler SDK project window, click Deployable Archive with Excel integration. Alternatively, you can open the Production Server Compiler app by entering productionServerCompiler at the MATLAB prompt. In the MATLAB Compiler SDK project window, specify the files of the MATLAB application that you want to deploy. In the Exported Functions section, click . In the Add Files window, browse to the example folder, and select the function you want to package. The function mymagic.m is added to the list of main files. Archive information — Editable information about the deployed archive with Excel integration. 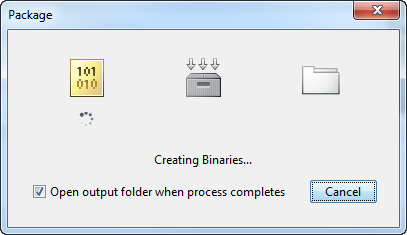 Client configuration — Configure the MATLAB Production Server client. Select the Default Server URL, decide wait time-out, and maximum size of response for the client, and provide an optional self-signed certificate for https. Additional files required for your archive to run — Additional files required by the generated archive to run. These files are included in the generated archive installer. See Manage Required Files in Compiler Project (MATLAB Compiler SDK). See Specify Files to Install with Application (MATLAB Compiler SDK). Options — The option Register the resulting component for you only on the development machine exclusively registers the packaged component for one user on the development machine. The archive must be deployed to a MATLAB Production Server instance before the add-in works. Locate the archive in the for_redistribution_files_only\server\ folder. The file name is similar to archiveName.ctf. Copy the archive file to the auto_deploy folder of the server instance. The server instance automatically deploys it and makes it available to interested clients. For more information, see MATLAB Production Server documentation.